Don't get too comfy after your Thanksgiving dinner just yet. 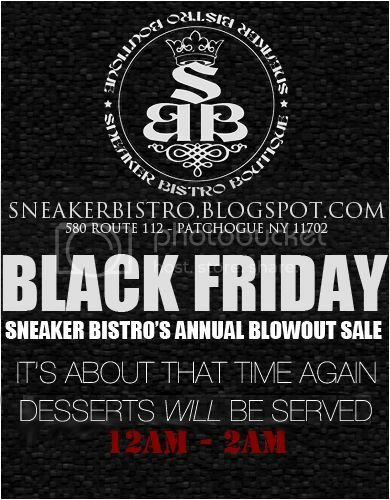 Sneaker Bistro has some desserts waiting for you. The sale will begin at 12AM sharp, so don't miss out. For those who haven't been here the previous years, you won't be disappointed.